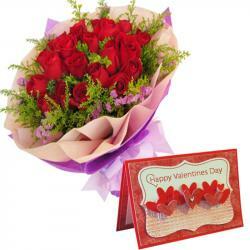 Product Consists : Bouquet of 10 Red Roses along with Valentine Greeting Card. 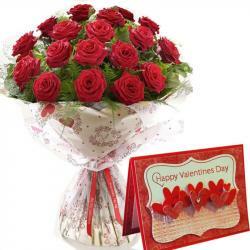 Roses is forever bouquet which can anyone like and get happy while receiving it. It is a perfect gift set to touch hearts of love ones on special events like Valentine's Day. Giftacrossindia.com brings to you this very awesome gift item, which is all set to make your special someone to feel more special. 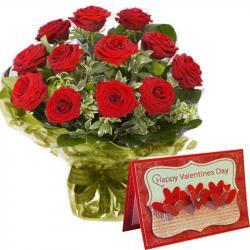 Make Valentines day more memorable with this lovely hamper of ten Red Roses Bouquet along with Valentine Greeting Card. Roses have different meanings according to their color. Red roses meant that you are pretty and beauty. 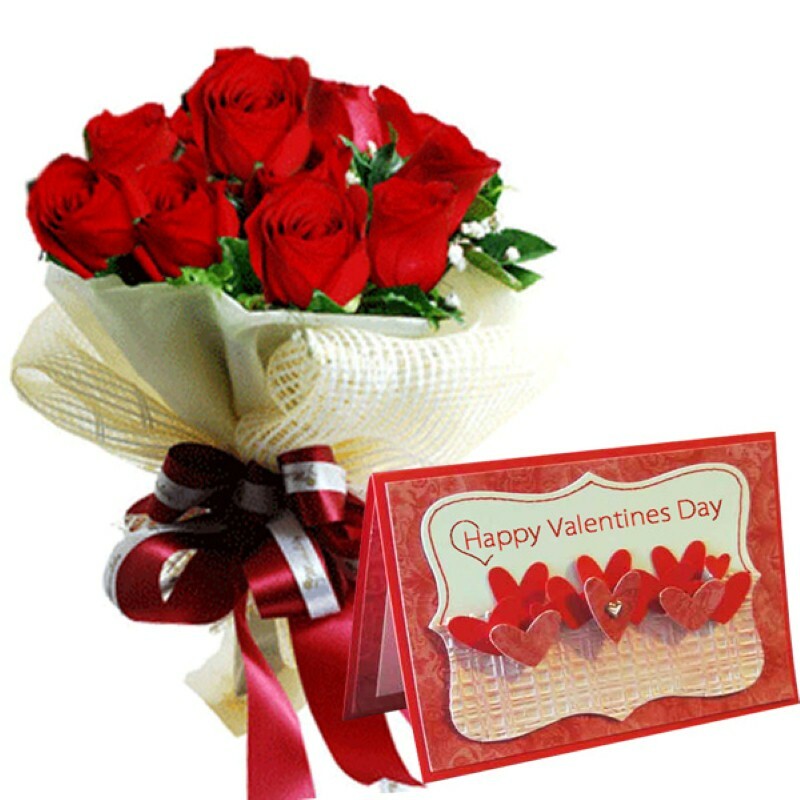 Ten red roses in a net wrapping with a green filler along with Valentine Greeting Card. 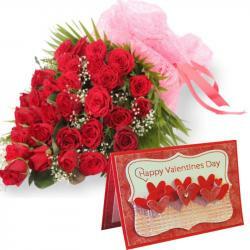 Product Includes : Bouquet of 10 Red Roses along with Valentine Greeting Card.